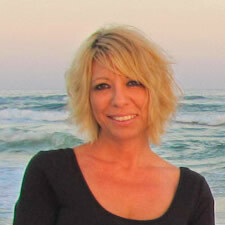 Melinda Feldner is a top notch Realtor that specializes in residential real estate on Florida's Emerald Coast. She has ten years professional experience in real estate and will help you find the house or condominium you are seeking. Melinda grew up in New Orleans, where she attended UNO and pursued a degree in finance. As a young girl, she and her family often visited the beaches of Northwest Florida. Every summer, and many weekend trips too, they would stay in various beach towns from Pensacola to Miramar Beach. Twenty years ago, she got the opportunity to move to the area and did so without hesitatio. She raised her family here, two boys and two girls, and has enjoyed all of the activities this area has to offer. She has lived in Shalimar, Fort Walton Beach, Mary Esther and Navarre. Melinda's background was primarily in accounting, but she always had an interest in real estate. She took a job as a bookkeeper at a real estate company in Destin in 2004 and quickly assumed other roles in real estate marketing. That position led her to become an assistant to a busy real estate team that assigned her duties that have become the base of her knowledge and experience in this dynamic field. From that point on, there was no turning back; real estate is a passion for her, not a job. She worked in Destin for five years and the greater Pensacola area for three years. Melinda's extensive knowledge of the area helps provide her clients with firsthand local knowledge and experience of the real estate market here. In her spare time, Melinda enjoys reading, spending time with her children traveling, hiking, camping and of course, the beach.